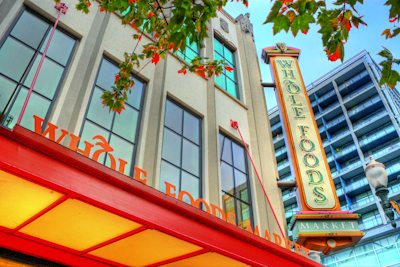 Whole Foods Market provides some of the highest quality natural and organic products available in town. Our core values are the very heart of the business philosophy that drives Whole Foods Market’s unique culture, growth and success. Caring about our communities and the environment and promoting healthy eating are two of our primary core values. We are happy to carry out these values through our partnership in the B-share program, and donate fresh, healthy produce and other foods from our Laurelhurst and Pearl locations seven days a week.